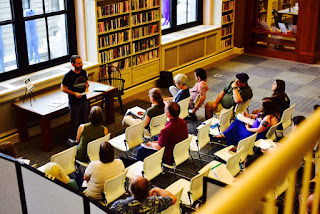 Literary Cleveland is once again holding their free Inkubator literary arts week, with events every evening from July 31 through August 3, and then the all-day Inkubator conference & book fair on Saturday August 4. The event starts Tuesday, July 31st, with the Lit Cleveland Book Swap and NEOMFA reading at 6:30-9 pm at the Market Garden Brewery in Ohio City, 1947 W. 25th Street. Check it out! You can register online.